Try any or all of these wonderful 13 blends. 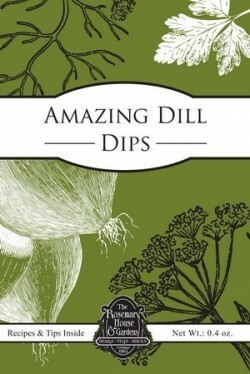 Some of the best sellers are the "French style" Garlic Cheese Spread and the Amazing Dill Dip. $5.50 each or mix and match - 4 packs for $20.00. CAJUN FLAVORS - Spicy New Orleans creamy dip or spread also with recipes for blackened fish or steak. OLE FIESTA PARTY BLEND - Make a cheesy warm dip or a creamy cool one. Or use as a mild, salsa, chunky and delicious. Makes the best Chili, too, Great flavors! GRAMMIES FAVORITE SPICE COOKIES - Soft Delicious cookies that we've won top prizes for, or use to make a soft gingerbread cookie, A classic! HOT COUNTRY MUSTARD - a favorite with the fellows. HOT! Recipes also included for a spicy mustard glaze, BBQ or just to dip! MULLING SPICES - for making spiced wine or cider. This mix can also be used as a nice simmer scent. FABOULOUS PARTY DIP HERBS - Makes up a seafood or spinach dip. OR make a low fat option OR use as a topping for salads or baked potatoes! This is just wonderful!